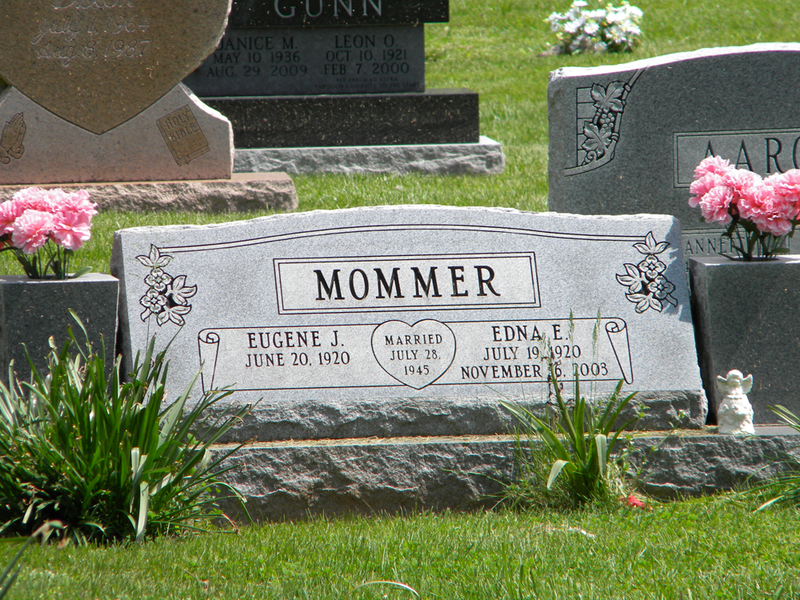 I snapped this photo because of the jazzy way this gentleman’s name was carved onto the stone at an angle, but then I did a double take when I tried to read the name. No, it’s not “Eatwell Hopkins.” It’s “E. 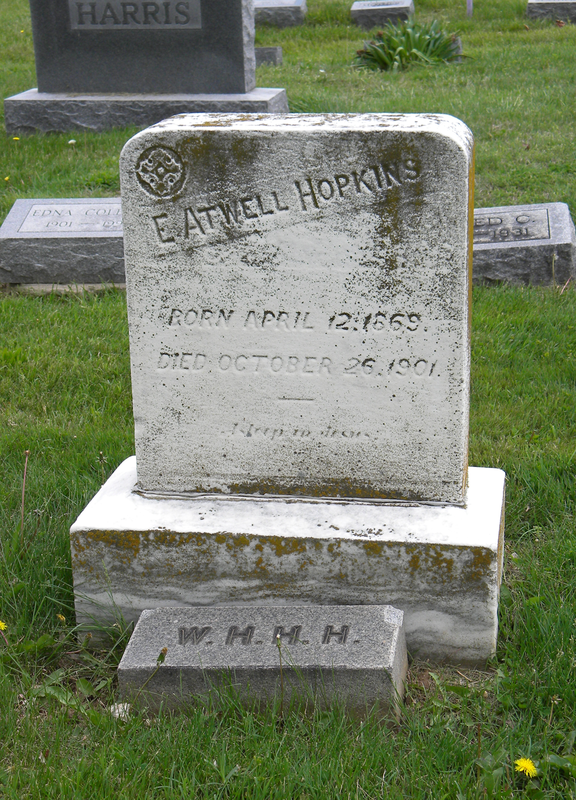 Atwell Hopkins.” Unfortunately, the person who cataloged this stone on FindaGrave made the same mistake I initially did. I sent them a correction. I can only assume that the above was a custom design. 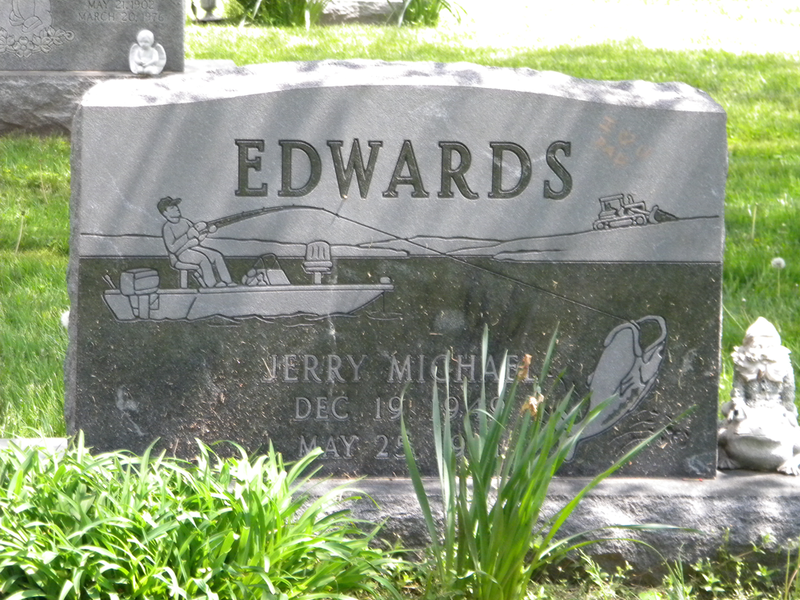 Obviously, the deceased was an avid fisherman. There’s another clue too — notice the bulldozer in the background. Just above that is a bit of familial graffiti. 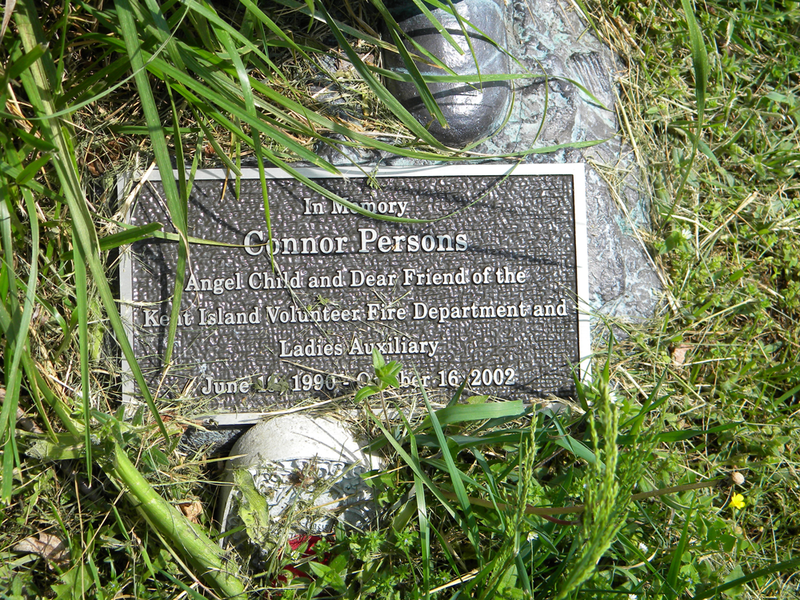 Connor Persons died at the age of 12 according to his memorial on FindaGrave. 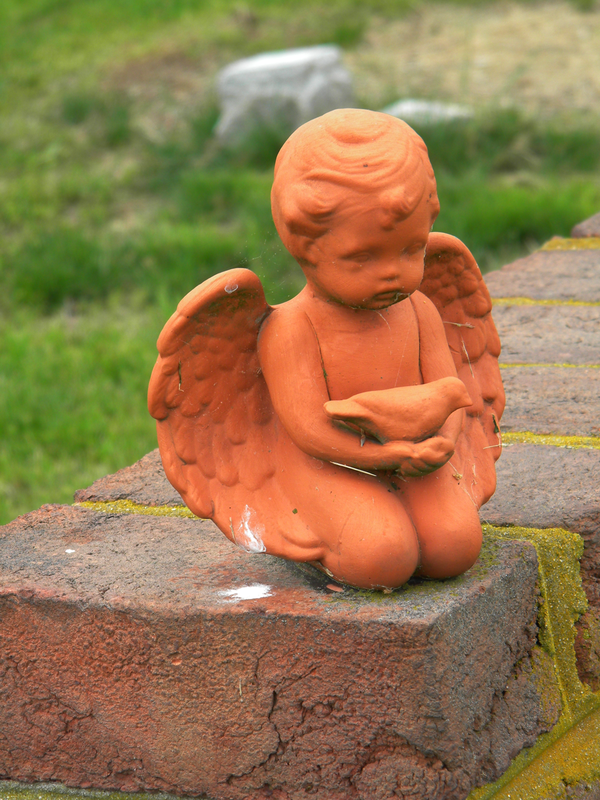 This is confirmed by his obituary, which can be found at this link. 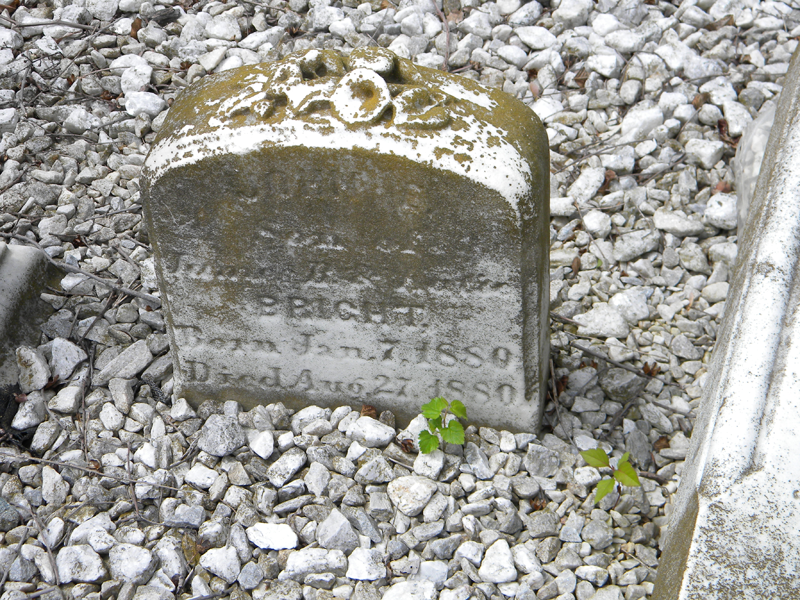 Taken at Stevensville Cemetery on Kent Island in Maryland. 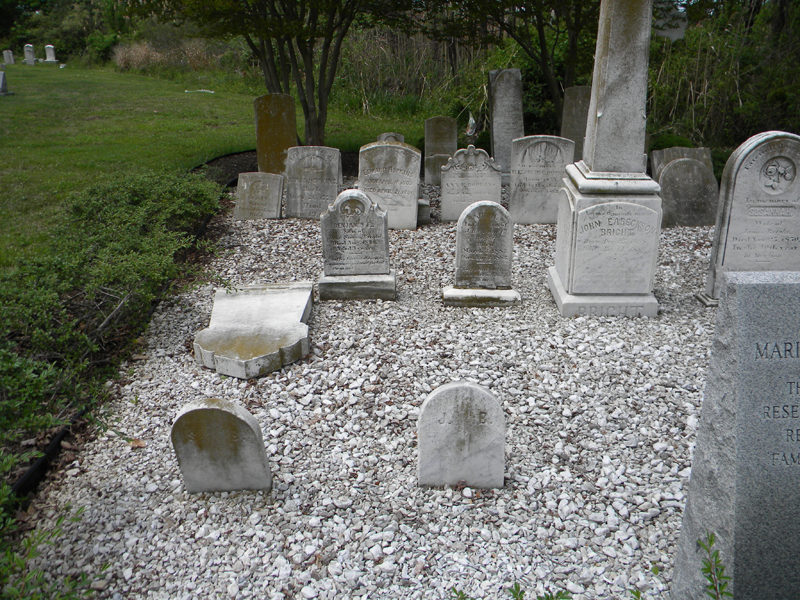 Photo taken at Stevensville Cemetery on Kent Island in Maryland. 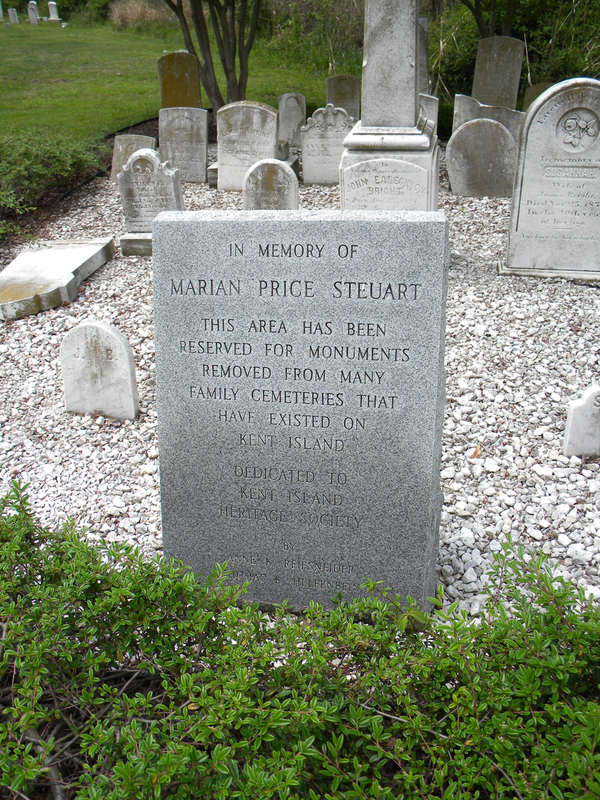 Nearly a year ago, I did a post about this cemetery after I got stuck on Route 50, which borders it. I finally got a chance to visit the grounds last Friday. 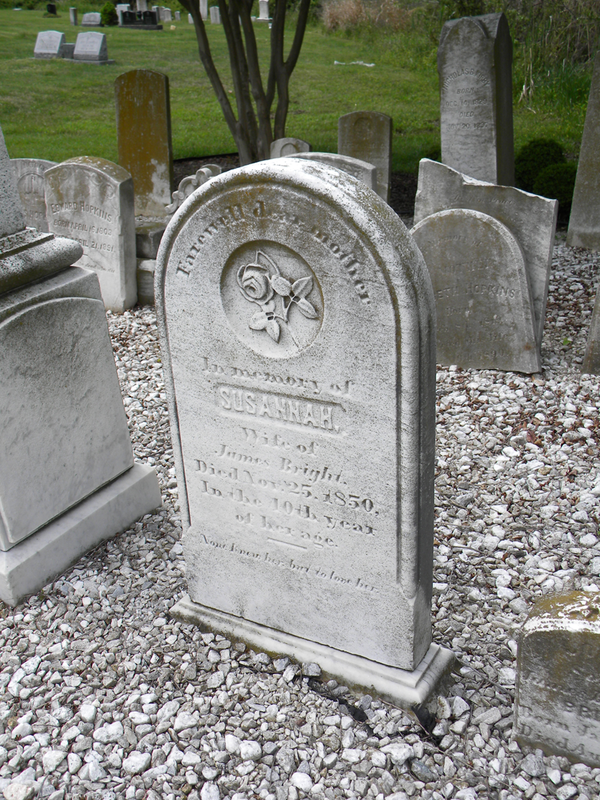 There’s quite a variety of different headstones in the rest of the cemetery, dating from the early 1800s to today. I’ll have more posts about what I found there in coming days and weeks. One morning last week, I got stuck in a miles-long back up on Kent Island in Maryland on the way to the day-job. 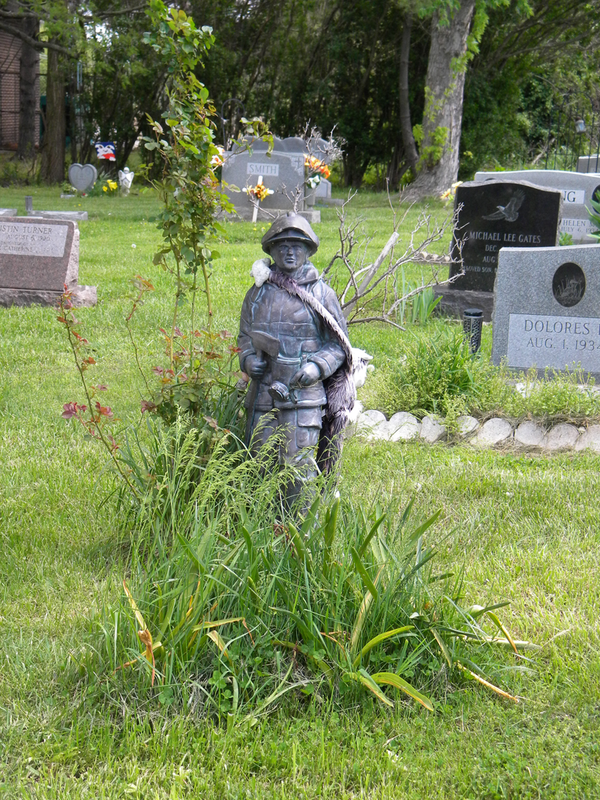 As traffic crept forward, my car came alongside a cemetery I’ve often wondered about but never explored. Well, finding myself stopped there, I dug my camera out of my bag and snapped a few shots. 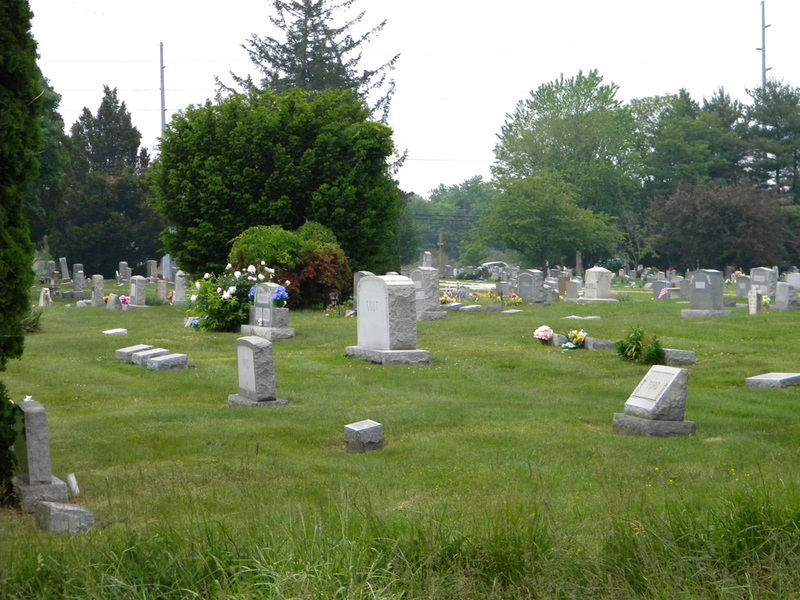 You wouldn’t necessarily know it but these are taken from the right lane of U.S. Route 50. 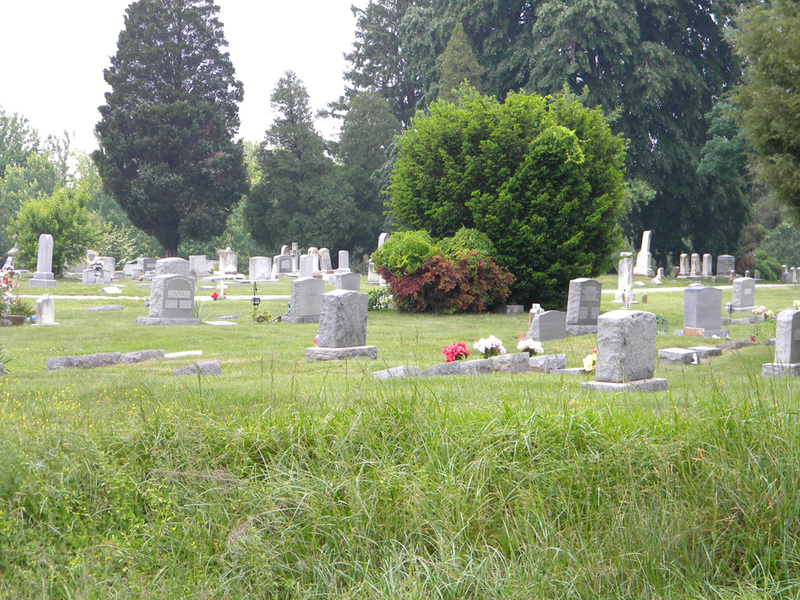 The cemetery is Stevensville Cemetery in Queen Anne’s County, Md. 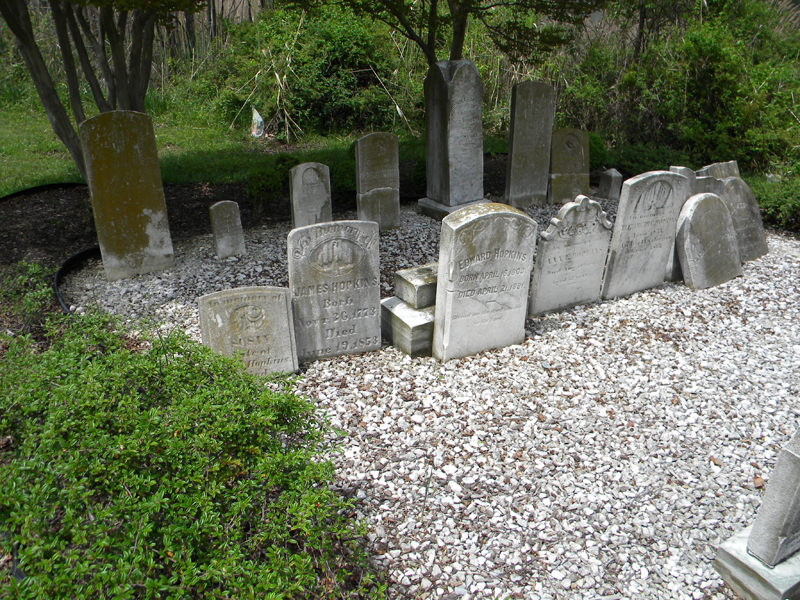 I’ve wanted to stop there because Kent Island boasts the first English settlement within the state (third oldest in the nation) and I thought there might be some really old graves there. 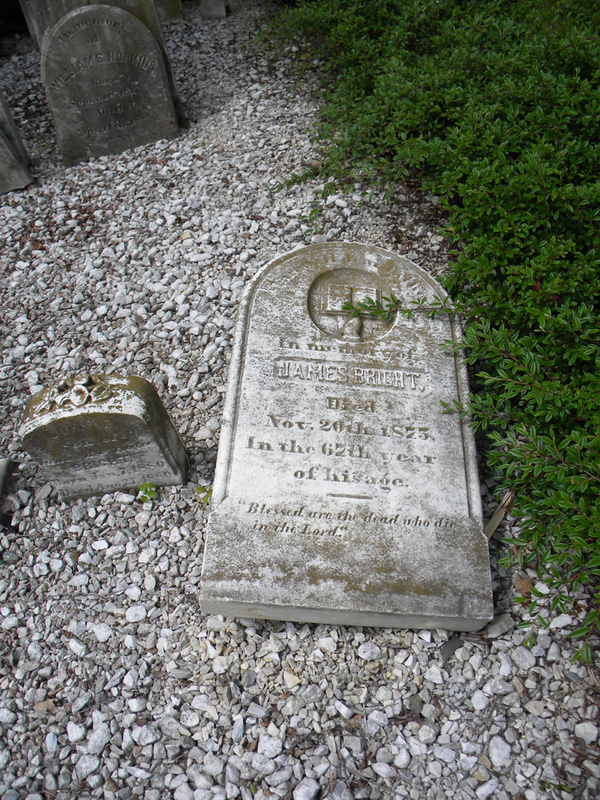 The listing of burials at the cemetery on FindAGrave.com doesn’t show anything spectacularly old, but there are a few graves whose dates are unknown. 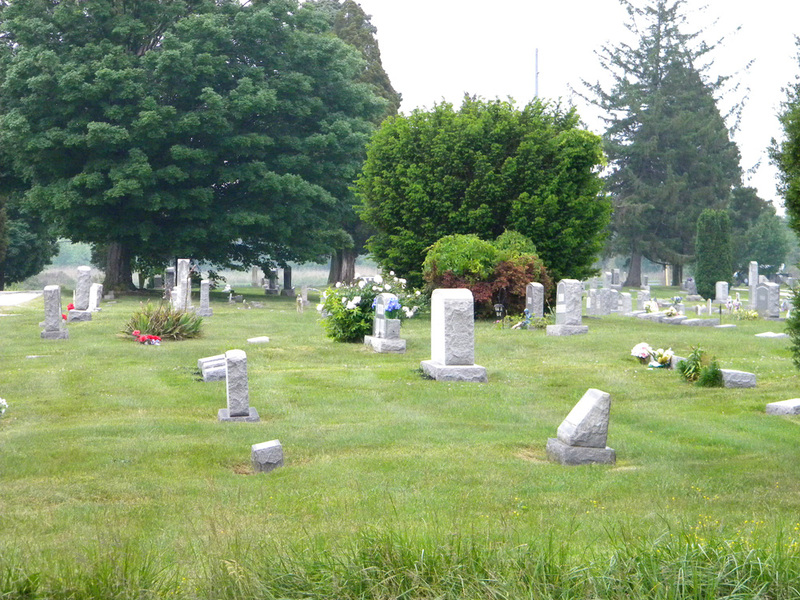 Maybe one day I’ll actually pull off the road and explore this cemetery on foot. If you compare the shots, you can tell that I snapped a pic, drove a few feet, snapped a pic, drove a few more feet, snapped another pic. And it is for the people in the car behind me that it may have been beneficial to have an “It’s OK, I’m a genealogist” bumper sticker. 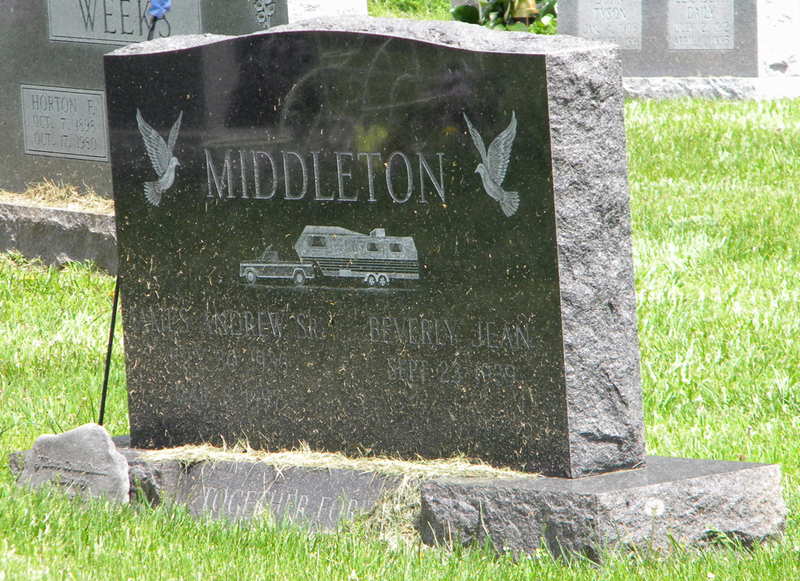 Just in case they were wondering about the weird girl in the car in front of them taking photos of a graveyard.